Pursuant to a plea agreement, Daniels entered a guilty plea to one count of being a convicted felon in possession of a firearm in violation of 18 U.S.C. §§ 922(g)(1) and 924(e). He had at least three previous convictions under the Pennsylvania drug statute, 35 Pa. Stat. Ann. § 780-113(a)(30), for possession with intent to deliver cocaine. Daniels reserved his right to challenge the government’s allegation that he was an armed career criminal under 18 U.S.C. § 924(e).1 If applied, § 924(e) triggers a fifteen-year mandatory minimum. According to Daniels, his convictions cannot count as ACCA predicates because the elements of the state drug statute sweep more broadly than the generic definition of a drug 1 Pursuant to United States v, Zudick, 523 F.2d 848 (3d Cir. 1975), Daniels also preserved his right to appeal the District Court’s denial of his suppression motion. He does not, however, raise that issue in this appeal. distribution crime. He argued that, “[b]y virtue of Pennsylvania’s treatment of solicitation and mere offers to sell, it is far from clear that a violation of 35 Pa.C.S. § 780113(a)(30), is, as a categorical matter, a ‘serious drug offense’ within the meaning of ACCA.” (JA25.) At sentencing, Daniels also argued that, without his armed career criminal designation, his Guidelines range would have been 92 to 115 months. However, application of this designation would result in a Guideline range of 180 months (the statutory minimum) to 210 months. The District Court rejected Daniels’s challenge and sentenced him to 180 months’ imprisonment. The District Court had subject matter jurisdiction under 18 U.S.C. § 3231. We possess appellate jurisdiction pursuant to 18 U.S.C. § 3742(a) and 28 U.S.C. § 1291. Because this appeal raises questions of law, we exercise de novo review. See, e.g., Gibbs, 656 F.3d at 184.
serious drug offense, or both, committed on occasions different from one another, such person shall be fined under this title and imprisoned not less than fifteen years, and, notwithstanding any other provision of law, the court shall not suspend the sentence of, or grant a probationary sentence to, such person with respect to the conviction under section 922(g). Cir. 2014) (quoting Descamps v. United States, 570 U.S. 254, 260-61 (2013)). As the government states in its appellate brief, “the issue is whether the elements of the prior crime encompass and are no broader than the elements described in the federal definition.” (Appellee’s Brief at 14 (citing Abbott, 748 F.3d at 157)). If the elements of the prior conviction are identical to (or narrower than) the elements of the generic ACCA crime, the prior conviction can serve as an ACCA predicate. See, e.g., Descamps, 570 U.S. at 261. “But if the statute sweeps more broadly than the generic crime, a conviction under that law cannot count as an ACCA predicate, even if the defendant actually committed the offense in its generic form.” Id. The categorical approach “requires a realistic probability, not a theoretical possibility, that the State would apply its statute to conduct that falls outside the generic definition of a crime.” Gonzales v. Duenas-Alvarez, 549 U.S. 183, 193 (2007). A defendant may establish such a probability by showing that the state statute was so applied in his or her own case or by pointing to other cases in which the state courts applied the statute in a non-generic fashion. See, e.g., id. Furthermore, a “modified” categorical approach may apply to divisible statutes, i.e., a statute of conviction that lists alternative elements (as opposed to alternative means for committing the same offense). See, e.g., Mathis v. United States, 136 S. Ct. 2243, 2248-50 (2016). Documents like the indictment, jury instructions, a plea agreement, or a colloquy may then be employed to determine the specific crime of conviction. See, e.g., id. at 2249. “The court can then compare that crime, as the categorical approach commands, with the relevant generic offense.” Id. substance by a person not registered under this act, or a practitioner not registered or licensed by the appropriate State board, or knowingly creating, delivering or possessing with intent to deliver, a counterfeit controlled substance.” As we recognized in Glass, “Pennsylvania law goes on to define ‘deliver’ as ‘the actual, constructive, or attempted transfer from one person to another of a controlled substance.’” Glass, 904 F.3d at 322 (quoting 35 Pa. Stat. Ann. § 780-102(b)). “[T]he federal counterpart to this statute, the Controlled Substances Act (CSA), also defines the ‘delivery’ of a controlled substance to mean ‘the actual, constructive, or attempted transfer of a controlled substance,’ 21 U.S.C. § 802(8).”2 Glass, 904 F.3d at 322. In turn, 21 U.S.C. § 802(11) states that “[t]he term ‘distribute’ means to deliver (other than by administering or dispensing) a controlled substance or a listed chemical.” Pennsylvania’s drug law also defines “distribute” to mean “to deliver other than by administering or dispensing a controlled substance, other drug, device or cosmetic.” § 780-102(b). Both federal and Pennsylvania law include statutory provisions addressing attempt and accomplice liability. See 18 U.S.C. § 2 (“Principals”); 21 U.S.C. § 846 (“Attempt and conspiracy”); 18 Pa. Cons. Stat. Ann. §§ 306 (“Liability for conduct of another; 2 The full federal and state definitions of “deliver” or “delivery” are nearly identical. According to federal law, “[t]he terms ‘deliver’ or delivery’ means the actual, constructive, or attempted transfer of a controlled substance or a listed chemical, whether or not there exists an agency relationship.” 21 U.S.C. § 802(8). Pennsylvania law states that these two terms mean “the actual, constructive, or attempted transfer from one person to another of a controlled substance, other drug, device or cosmetic whether or not there is an agency relationship.” 35 Pa. Stat. Ann. § 780-102(b). According to Daniels, Section 780-113(a)(30) sweeps more broadly than the generic federal definition of “a serious drug crime.” Daniels vigorously argues that, unlike the Pennsylvania drug statute, a “serious drug crime” under the ACCA does not include attempts. He further argues that, “[e]ven assuming that attempted drug offenses are properly included as serious drug offense predicates,” Pennsylvania’s drug act includes conduct that is too inchoate and incipient to satisfy federal drug law—specifically “mere offers, mere preparation, and mere solicitation (from the buyer).” (Appellant’s Brief at 20.) Given our ruling in Gibbs, we conclude that the ACCA’s definition of a “serious drug offense” encompasses attempts, as defined under federal law, to manufacture, distribute, or possess with intent to manufacture or distribute a controlled substance. We likewise determine that, based on this Court’s recent Glass and Martinez decisions, the scope of attempt and accomplice liability under Pennsylvania law is coextensive with the meaning of those terms under federal law. immigration case, see Martinez, 906 F.3d at 284-87, and the immigration provisions at issue explicitly refer to attempts or require a match with the CSA’s ban on drug trafficking,3 see 8 3 In United States v. Abbott, 748 F.3d 154 (3d Cir. 2014), we considered whether “[Section 780-113(a)(30)] is a ‘divisible’ statute under [Descamps],” id. at 156. In that ACCA case, we concluded that Section 780-113(a)(30) is divisible by drug type, thereby permitting the application of the modified categorical approach. Id. at 157-60; see also United States v. Henderson, 841 F.3d 623, 626-63 (3d Cir. 2016) (reaching same conclusion as to 35 Pa. Stat. Ann. § 780-113(f)(1)). Daniels is correct that Abbott did not specifically address either the question of whether a “serious drug offense” under § 924(e)(2)(A)(ii) encompasses attempt crimes or the scope of the Pennsylvania drug statute as to attempt offenses or accomplice liability. However, we did state that “Abbott’s previous conviction under 35 Pa. Stat. Ann. § 780-113(a)(30) for possession with intent to distribute cocaine is a ‘serious drug offense’ and properly served as a predicate offense for the imposition of the fifteen-year minimum sentence under the ACCA.” Abbott, 748 F.3d at 160. According to our recent opinion in Glass, “[w]e have already held that conviction under § 780-113(a)(30) for cocaine-based offenses is not overbroad in the context of the ACCA’s definition of ‘serious drug offense.’” Glass, 904 F.3d at 323 (citing Abbott, 748 F.3d at 160). U.S.C. §§ 1101(a)(43)(B) (stating that “aggravated felony” means “illicit trafficking in a controlled substance (as defined in section 802 of title 21), including a drug trafficking crime (as defined in section 924(c) of title 18)”), 1227(a)(2)(B)(i) (“Any alien who at any time after admission has been convicted of a violation of (or a conspiracy or attempt to violate) any law or regulation of a State, the United States, or a foreign country relating to a controlled substance (as defined in section 802 of title 21), other than a single offense involving possession for one’s own use of 30 grams or less of marijuana, is deportable.”). But Gibbs did consider the meaning of a “serious drug offense” under the ACCA. The government appealed from the district court’s ruling that a prior conviction under Delaware law for wearing body armor while committing a felony is not a predicate offense under the ACCA. Gibbs, 656 F.3d at 182. The defendant had been charged in state court under this body armor statute and for possession with intent to deliver. Id. at 183. He pled guilty to the first count but not the second one. Id. On appeal, we agreed with the government and held “that the body armor conviction is an ACCA predicate offense because it involved the possession of cocaine with intent to distribute. Id. at 182. In short, “[i]t is ‘a serious drug offense.’” Id. (quoting § 924(e)(1)). The issue is whether the body armor conviction “involv[ed] manufacturing, distributing, or manufacture, delivery, or possession with intent to manufacture or deliver, or acting as an accomplice). 247 F.3d 186, 191 (4th Cir. 2001). The Gibbs Court then considered and rejected the defendant’s theory that the definition of state serious drug offenses set forth in Section 924(e)(2)(A)(ii) should be limited to the types of crimes identified by the three federal statutes (including the CSA) referenced in Section 924(e)(2)(A)(i). Id. at 185. “While both subsections relate to the same subject, there is no reason to think that subsection (i) should limit our construction of subsection (ii). If Congress wished to do this, it could have done so [as it did in the “three strikes” law, 18 U.S.C. § 3559(c)].” Gibbs, 656 F.3d at 185. “Instead, Congress used broad terminology—‘involving’—to define the category of serious drug offenses without limiting its scope to federal statutes.” Id. “Congress adopted a broad interpretation of ‘a serious drug offense’ because it intended to define ‘an entire class of state offenses “involving” certain activities, namely, “manufacturing, distributing, or possessing with intent to manufacture or distribute” a controlled substance.’ Alexander, 331 F.3d at 131 (quoting 18 U.S.C. § 924(e)(2)(A)(ii)).” Gibbs, 656 F.3d at 185 (“Each state has different serious drug crimes and different definitions for similar crimes. Thus, Congress relied upon general language referencing the entire class of serious state drug offenses.”). offenses under ACCA. The relationship must not be too remote or tangential.’” Id. (quoting McKenney, 450 F.3d at 45). We have no trouble concluding that a conviction under state law for attempted manufacturing, distributing, or possessing with intent to manufacture or distribute a controlled substance that also meets the requirements for an attempted drug crime under federal law would satisfy the approach we adopted in Gibbs. Daniels asserts that Gibbs does not extend the definition of a “serious drug offense” beyond the generic categories of manufacturing, distributing, and possession with intent. Citing our ruling in United States v. Tucker, 703 F.3d 205, 213 (3d Cir. 2012), he contends that “the Gibbs Court held only that a possession-with-intent offense does not cease to be a serious drug offense on the ground that it was the factual predicate for the felony establishing the crime of possession of body armor in course of a felony.” (Appellant’s Reply Brief at 5 (citing Gibbs, 656 F.3d at 188).) However, the Tucker Court merely rejected the government’s argument that the state court charge of conspiracy to sell drugs (which resulted in a conviction) incorporated a separate possession with intent to deliver (“PWID”) cocaine charge (which resulted in an acquittal) as the overt act. Tucker, 703 F.3d at 212-13. We distinguished Gibbs because, unlike the body armor count (which expressly incorporated the drug charge), “neither the conspiracy Bill nor the conspiracy incorporated the separate PWID charge.” Id. at 213. “The jury could legally have found the overt act to be possession of marijuana with the intent to deliver. Nothing ‘actually required’ the jury to treat the separate PWID cocaine charge as the overt act.” Id. interpretation of ‘a serious drug offense’ raises a constitutional problem of fair notice.” Gibbs, 656 F.3d at 188-89. Simply put, if a body-armor conviction is sufficiently “related to or connected with” manufacturing, distributing, or possessing with the intent to manufacture or distribute a controlled substance to pass muster under Gibbs, the federal inchoate versions of these enumerated offenses clearly satisfy the test. As the government aptly explains, “[t]o say that an attempt to manufacture methamphetamine does not involve manufacturing methamphetamine, or that an attempt to distribute cocaine does not involve the distribution of cocaine, is untenable.” (Appellee’s Brief at 21.) The criminal attempt to commit an offense “involves” the completed offense. States v. Hawkins, 139 F.3d 29, 34 (1st Cir. 1998)); see also id. at 44 (“By contrast, in McKenney’s case, there is no question that the possession at the heart of the conspiracy was possession with intent to distribute. That is the charge to which McKenney pled.”). Likewise, the relationship between the inchoate offense of attempt and the completed offense the defendant attempted to commit is plainly close enough that an attempt to manufacture, distribute, or possess with intent to manufacture or distribute a controlled substance is, under the ACCA, an offense involving manufacturing, distributing, or possessing with intent to manufacture or distribute a controlled substance. In Gibbs, we indicated that “all courts of appeals that have addressed the scope of the definition of a serious drug offense” have adopted an expansive understanding of this concept. Gibbs, 656 F.3d at 185 (citing Vickers, 540 F.3d at 365; McKenney, 450 F.3d at 42; Alexander, 331 F.3d at 131; King, 325 F.3d at 113; Brandon, 247 F.3d at 191). 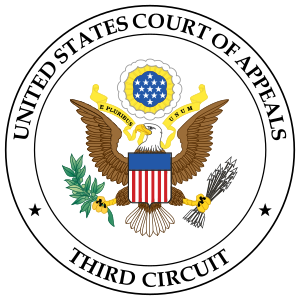 Since our 2011 ruling, the circuit courts have continued to apply an expansive reading of § 924(e)(2)(A)(ii) (and Daniels has not cited any contrary case law). See United States v. Herrold, 813 F.3d 595, 599-600 (5th Cir. 2016), cert. granted & vacated on other grounds, 137 S. Ct. 310 (2016); United States v. Whindleton, 797 F.3d 105, 108-11 (1st Cir. 2015); United States v. Bynum, 669 F.3d 880, 884-88 (8th Cir. 2012). It is also uncontested that every court of appeals to have considered the specific question of whether a “serious drug offense” under § 924(e)(2)(A)(ii) includes attempts has answered this question in the affirmative.5 See United States v. Coleman, 700 F.3d 329, 5 The government cites to a number of non-precedential dispositions that have reached the same conclusion regarding the inclusion of attempt crimes. See United States v. White, 288 F.
339 (8th Cir. 2012); United States v. Williams, 488 F.3d 1004, 1008-09 (D.C. Cir. 2007); United States v. Winbush, 407 F.3d 703, 705-08 (5th Cir. 2005); Alexander, 331 F.3d at 130-31; King, 325 F.3d at 112-15. Defending the narrower definition expressly considered and rejected by the First Circuit in McKenney, Daniels invokes the canon of “expressio unius est exclusio alterius—when a statute specifically enumerates some categories, it impliedly excludes others.” Ray v. Kertes, 285 F.3d 287, 296 (3d Cir. 2002) (citing Leatherman v. Tarrant County Narcotics Intelligence & Coordination Unit, 507 U.S. 163, 168 (1993)). According to Daniels, “the offenses listed under Section 924(e)(2)(A)(ii) involve a comprehensive set of ways of committing narcotics offenses (except for attempts), leading to the conclusion that the exclusion was ‘not inadvertence.’” (Appellant’s Reply Brief at 11 (quoting Barnhart v. Peabody Coal Co., 537 U.S. 149, 168 (2003)).) “Indeed, the other ACCA predicate ‘violent felony,’ does provide an attempt alternative. See 18 U.S.C. § 924(e)(2)(B) (including ‘attempted use’ of physical force as violent felony).” (Appellant’s Brief at 17.) The CSA criminalizes attempted federal drug offenses, see 21 U.S.C. §§ 802(8), 846, and, in turn, 18 U.S.C. § 924(e)(2)(A)(i) provides that a “serious drug offense” includes “an offense under the Controlled Substances Act.” Daniels therefore argues that Congress, if it had really “intended to include inchoate conduct as a drug predicate” under § 924(e)(2)(A)(ii), purportedly could have done what it did with respect to the other ACCA predicate offenses. (Appellant’s Brief at 18.) The App’x 89, 90 (4th Cir. 2008) (per curiam); United States v. Holt, 246 F. App’x 602, 609-10 (11th Cir. 2007); United States v. Thomas, 13 F. App’x 233, 240-43 (6th Cir. 2001). Guidelines’ application note addressed in Glass (as well as an immigration provision considered in Martinez) also explicitly refers to attempts. See 8 U.S.C. § 1227(a)(2)(B)(i); U.S.S.G. § 4B1.2 cmt. n.1. or dispense.” U.S.S.G. § 4B1.2(b) (emphasis added). In his reply brief, Daniels recognizes that “the character of federal drug offenses can inform the question of whether a prior drug offense sweeps more broadly than the elements of the generic offense.” (Appellant’s Reply Brief at 4 (citing United States v. Mitchell, 218 F. Supp. 3d 360, 368 (M.D. Pa. 2016)).) A “serious drug offense” includes an offense under state law involving “distributing” or “possessing with intent to . . . distribute” a controlled substance. 18 U.S.C. § 924(e)(2)(A)(ii). The federal CSA defines this term “distribute” to mean “to deliver (other than by administering or dispensing) a controlled substance or a listed chemical.” 21 U.S.C. § 802(11). The federal drug statute then defines the “terms ‘deliver’ or ‘delivery’ as including an “attempted transfer of a controlled substance.” Id. § 802(8). Section 924(e)(2)(A)(ii) expressly references the CSA in the parenthetical “(as defined in section 102 of the Controlled Substances Act (21 U.S.C. 802)).” This Court stated in Rojas v. Attorney General, 728 F.3d 203 (3d Cir. 2013) (en banc), that “the parenthetical ‘(as defined in section 802 of Title 21)’ [used in §§ 1227(a)(2)(A)(i)(II) and 1227(a)(2)(B)(i)] is a restrictive modifier that affects only its immediate antecedent, a ‘controlled substance,’” id. at 209. However, the en banc Court was simply explaining that “the controlled substance [must be] as such by federal law.” Id. Moreover, as the district court recognized, the use of “attempted” in section 924(e)(2)(B)(i) does not—by itself—indicate that the Congress intended to exclude attempt convictions from the definition of “serious drug offense[s]” in section 924(e)(2)(A)(ii). Indeed, well-established principles of statutory construction counsel otherwise; if we were to adopt Alexander’s reading of section 924(e)(2)(A)(ii), the term “involving” would be rendered meaningless— “distribution alone would qualify as a crime ‘involving’ distribution” and possession with intent to distribute alone would qualify as a crime “involving” possession with intent to distribute. United States v. Contreras, 895 F.2d 1241, 1244 (9th Cir. 1990) (rejecting argument that possession with intent to distribute is not crime “involving” distribution). . . . .
Alexander, 331 F.3d at 131.
language). Glass, 904 F.3d at 321-24. Because § 924(e)(2)(A)(ii)’s definition of “a serious drug offense” encompasses attempts (as defined under federal law) to manufacture, distribute, or possess with intent to manufacture or distribute a controlled substance, we must decide whether Pennsylvania criminalizes conduct under the attempt or accomplice framework that are not crimes under federal law. According to Daniels, Pennsylvania law sweeps more broadly than federal law because it criminalizes offers to sell, mere preparation, and solicitation by the buyer. We do not agree. Given our recent precedential opinions in Glass and Martinez, we conclude that Pennsylvania’s approach to attempts as well as the state’s doctrine of accomplice liability are coextensive with its federal counterparts. The federal and Pennsylvania approaches to attempt liability in the drug offense context are essentially identical. As we have already explained, Pennsylvania law defines “deliver” or “delivery” as “the actual, constructive, or attempted transfer 6 We also note that Gibbs expressly considered and rejected a vagueness challenge to our interpretation of a “serious drug offense.” Gibbs, 656 F.3d at 188-89. New Jersey’s approach, like that of federal law, follows the Model Penal Code. Both federal law and the Model Penal Code recognize that “solicitation accompanied by the requisite intent may constitute an attempt.” United States v. Am. Airlines, Inc., 743 F.2d 1114, 1121 (5th Cir. 1984); see, e.g., United States v. Cornelio-Pena, 435 F.3d 1279, 1286-87 (10th Cir. 2006); Model Penal Code § 5.01(2)(g). Our Court agrees. Glass, [904 F.3d at 323 n.3]. So New Jersey law tracks federal law: Solicitation may amount to an attempt when it strongly corroborates the actor’s criminal purpose. Not all solicitations make the cut, but some do. As explained above, federal attempt law is explicitly based on the Model Penal Code. Both provide that any substantial step that strongly corroborates the actor’s criminal purpose amounts to an attempt. Model Penal Code § 5.01(2). The Model Penal Code specifies that solicitation “shall not be held insufficient as a matter of law” if it is strongly corroborative, as we and other circuits recognize. Id. § 5.01(2)(g); see, e.g., Glass, [904 F.3d at 323 n.3]; Am. Airlines, 743 F.2d at 1121. We see no reason to reject the Model Penal Code. Our precedent embraces it. Solicitation, like any number of other acts, can amount to a federal attempt. So New Jersey attempt law is no broader than federal law. Martinez’s conviction is thus an aggravated felony, making him removable. Likewise, Pennsylvania and federal law base their respective approaches to accomplice liability on the Model Penal Code. 18 Pa. Cons. Stat. Ann. § 306(c)(1) states that a person is an accomplice of another person in the commission of the offense “if (1) with the intent of promoting or facilitating the commission of the offense, he: (i) solicits such other person to commit it or (ii) aids or agrees or attempts to aid such other person in planning or committing it.” This definition is almost identical to the Model Penal Code’s definition of accomplice liability, e.g. “a person is an accomplice if: (a) with the purpose of promoting or facilitating the commission of an offense, he (i) solicits such other person to commit it, or (ii) aids or agrees or attempts to aid such person in planning or committing it.” Model Penal Code § 2.06(3). In turn, “[w]hoever commits an offense against the United States or aids, abets, counsels, commands, induces or procures its commission, is punishable as a principal.” Id. at § 2(a). Both Pennsylvania law and the Model Penal Code essentially require what we have stated is required to prove aiding and abetting under federal law, i.e., proof that the defendant had the specific intent to facilitate the crime and acted to facilitate it. See, e.g., United States v. Mercado, 610 F.3d 841, 846 (3d Cir. 2010). “We have yet to determine whether or in what circumstances state statutes that criminalize offers to sell constitute ‘controlled substance offenses’ under the Guidelines. Increasingly, however, our sister Circuits have held state statutes expressly criminalizing a mere ‘offer’ do not.” Glass, 904 F.3d at 322 (citing United States v, Madkins, 866 F.3d 1136, 1147 (10th Cir. 2017); United States v. Hinkle, 832 F.3d 569, 572 (5th Cir. 2016); United States v. Savage, 542 F.3d 959, 965-66 (2d Cir. 2008); United States v. Redden, 875 F.3d 374, 375 (7th Cir. 2017), cert. denied, 138 S. Ct. 1343 (2018); United States v. Bryant, 571 F.3d 147, 158 (1st Cir. 2009)). Glass refrained from answering this question because Section 780-113(a)(30) does not criminalize mere offers to sell. Id. As we have already observed in our discussion of § 924(e)(2)(A)(ii) and attempts, we likewise need not—and do not—decide at this time whether the government is correct that “any statute that bars an ‘offer to sell drugs is one ‘involving’ the distribution under ACCA” (Appellee’s Brief at 26 (citations omitted)) because the Pennsylvania drug statute does not “cross that line,” id. meaning as ‘attempt’ in the CSA and the Guidelines, his argument, if accepted, would prove self-defeating, for if § 780102(b) sweeps in mere offers to sell, then by his logic, so does 21 U.S.C. § 802(8) and U.S.S.G. § 4B1.2, making the state offense broad, but no broader than the federal one.” Id. at 32223 (footnote omitted). Furthermore, “the parties have failed to uncover any authority, such as state judicial decisions or pattern jury instructions, suggesting that Pennsylvania would prosecute a mere offer to sell under § 780-113(a)(30).” Id. at 323 (citing Duenas-Alvarez, 549 U.S. at 193). The Glass Court then distinguished Pennsylvania’s statutory definition of “deliver” from the more expansive Texas definition at issue in Hinkle and Conley (which expressly states that “deliver” includes offering to sell) and compared it with the narrower Illinois understanding of “deliver” addressed in Redden. Id. Finally, we noted that our conclusion “is consistent with our prior holdings regarding § 730-113(a)(30) outside of the U.S.S.G. § 4B1.1 context,” including our holding in Abbott that a conviction for cocainebased offenses “is not overbroad in the context of the ACCA’s definition of ‘serious drug offense.’” Id. (citing Abbott, 748 F.3d at 160); see also, e.g., Martinez, 906 F.3d at 286 (distinguishing Texas law encompassing mere offer to sell without evidence of possession or transfer as “far cry” from conviction under New Jersey possession with intent statute). In addition to seeking to preserve the “offer to sell” issue for later review, Daniels purportedly cites to an authority suggesting that Pennsylvania does in fact prosecute offers to sell. See, e.g., Duenas-Alvarez, 549 U.S. at 193 (“[T]o find that a state statute creates a crime outside the generic definition . . . requires a realistic probability, not a theoretical possibility, that the State would apply its statute to conduct that falls outside the generic definition of a crime.”). We do not agree. In Commonwealth v. Donahue, 630 A.2d 1238 (Pa. Super. Ct. 1993), the defendant argued that the Berks County trial court lacked jurisdiction over the drug possession crimes because the prosecution failed to adduce evidence that he actually or constructively possessed marijuana in Berks County (where his supplier, Bieber, lived) as opposed to Bucks County (where the defendant resided and received the shipment of marijuana), id. at 1242-43. The Pennsylvania Superior Court, however, determined that Donahue was properly convicted as an accessory to Bieber’s possession in Berks County. Id. at 1244. In the process, it looked to Pennsylvania’s crime of solicitation, 18 Pa. Cons. Stat. Ann. § 902, as well as the state statutory provision governing accomplice liability, see § 306. Donahue, 630 A.2d at 1243-44.
established that he intended to promote or facilitate the commission of the offense under the accomplice liability provision: “Taken one step further, it is also reasonably clear that appellant intended to promote Bieber to commit the offense so that he, in turn could obtain marijuana to sell.” Id. In fact, Donahue’s conviction was vacated on other grounds, and the Pennsylvania Superior Court specifically directed the trial judge to “instruct the jury that appellant may only be found guilty for those actions which occurred in Berks County if it finds that he was an accomplice to Bieber.” Id. at 1244 n.8. with him, packaged in plastic baggies “consistent with the way drug dealers handle or package crack cocaine,” and he admitted that he would sell it “if the opportunity presented itself.” In Commonwealth v. Irby, 700 A.2d 463 (Pa. Super. 1997), we found that a defendant who packaged candle wax in plastic baggies as cocaine and tried to sell it to an undercover officer, even though the sale never actually occurred, was sufficient to constitute delivery of a noncontrolled substance. Here, Parker took similar substantial steps toward the commission of the same crime, except that he was waiting for the opportunity of a possible buyer to present itself. Therefore, the evidence was sufficient to convict Parker of attempted delivery of a noncontrolled substance. Id. at 318 (citation omitted). The state court thereby mirrors the Model Penal Code itself, which identifies both “possession of materials to be employed in the commission of the crime, that are specially designed for such unlawful use or that can serve no lawful purpose of the actor under the circumstances” and “possession, collection or fabrication of materials to be employed in the commission of the crime, at or near the place contemplated for its commission, if such possession, collection or fabrication serves no lawful purpose of the actor under the circumstances” as conduct that could be held to be a substantial step. Model Penal Code § 501(2)(e), (f). attempt by the New Jersey Supreme Court distinguishes between mere preparation and a substantial step and thereby tracks both the Model Penal Code and federal law. Id. at 285 (quoting State v. Farrad, 753 A.2d 648, 653 (N.J. 2000)). “In dicta, Fornino stated: ‘It is only ‘very remote preparatory acts’ which are excluded from the ambit of attempt liability.’” Id. (quoting State v. Fornino, 539 A.2d 301, 306 (N.J. App. Div. 1988)). Despite this statement (which goes farther than the language in Parker), we explained that Fornino was a plain error case and the state court thereby did not have an occasion to define attempt liability. Id. The New Jersey Appellate Division “simply noted that ‘some preparation may amount to an attempt. It is a question of degree.’” Id. (quoting Fornino, 539 A.2d at 306). “So New Jersey courts wrestle with drawing that line, just as federal courts and the Model Penal Code do.” Id. The same is true with respect to the Pennsylvania courts. United States Supreme Court rejected the theory that an analogous federal provision (prohibiting the use of a communication facility in committing, causing, or facilitating the commission of any act or acts constituting a felony under the CSA) applies to someone “making a misdemeanor drug purchase because his phone call to the dealer can be said to facilitate the felony of drug distribution.” Abuelhawa v. United States, 556 U.S. 816, 818 (2009) (addressing 21 U.S.C. § 843(b)). “To the contrary, Congress used no language spelling out a purpose so improbable, but legislated against a background usage of terms such as ‘aid,’ ‘abet,’ and ‘assist’ that points in the opposite direction and accords with the CSA’s choice to classify small purchases as misdemeanors.” Id. at 824 (footnote omitted); see also, e.g., id. at 820 (“To begin with, the Government’s literal sweep of ‘facilitate’ sits uncomfortably with common usage. Where a transaction like a sale necessarily presupposes two parties with specific roles, it would be odd to speak of one party as facilitating the conduct of the other.”). known drug trafficker.” Id. at 384.
suggestion that Abuelhawa altered the pleading requirements for offenses invoking accomplice liability, we have explained that “[t]he Abuelhawa Court simply addressed a narrow question regarding the scope of the term ‘facilitate’ under § 843(b).” United States v. Huet, 665 F.3d 588, 599 (3d Cir. 2012) (citing Abuelhawa, 556 U.S. at 818); see also, e.g., id. (“Nor did the decision modify the law of accomplice liability under 18 U.S.C. § 2. The elements of aiding and abetting under § 2 remain the same.”). Like Huet, “[w]e decline to extend its holding any further.”8 Id. Outcome: For the foregoing reasons, we will affirm the mandatory minimum sentence of fifteen years’ imprisonment entered by the District Court.